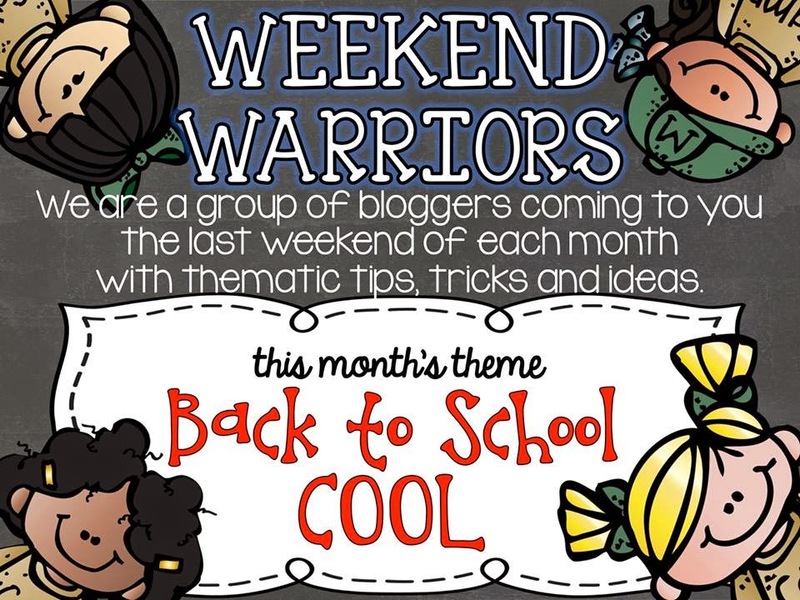 I’m back for part 2 of Weekend Warriors back to school tips and tricks. I’m actually doing a throwback post. 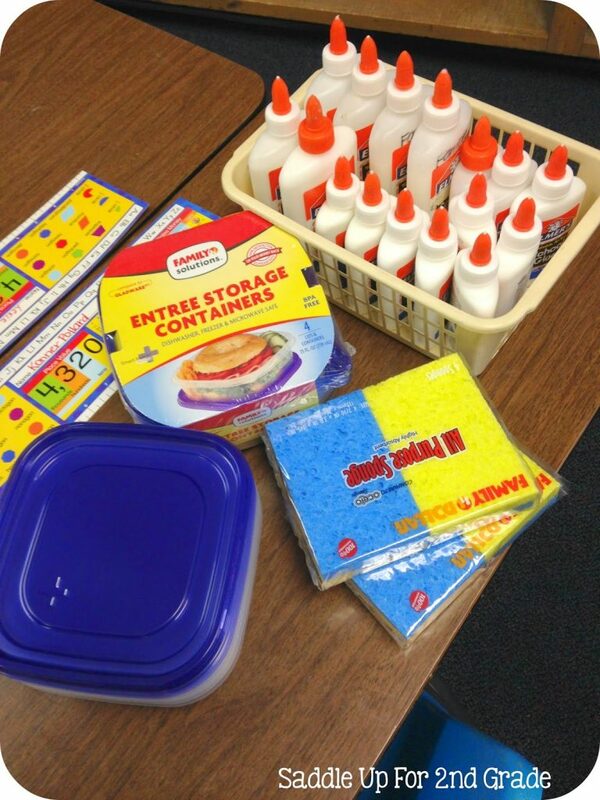 Do you do a lot of crafts in your classroom? I do. Do you use a lot of interactive notebooks? I do. Are you constantly fighting a glue battle with your kids? I am. I hate glue bottles because no matter how much you practice “dot, dot, not a lot”, your papers still end up messy and they always get stuck together. I have a love hate relationship with glue sticks. The kids either mash them down to hard and they break, or they loose the lid and they dry out. I have a solution to fix those problems. Are you ready??? The GLUE SPONGE! You can read my original post about them here. Tupperware containers. (I got mine from the dollar store. Make sure that the lids close tightly. I always purchase enough for each group/table to have one. Last year a I made 4, this year I made 8. 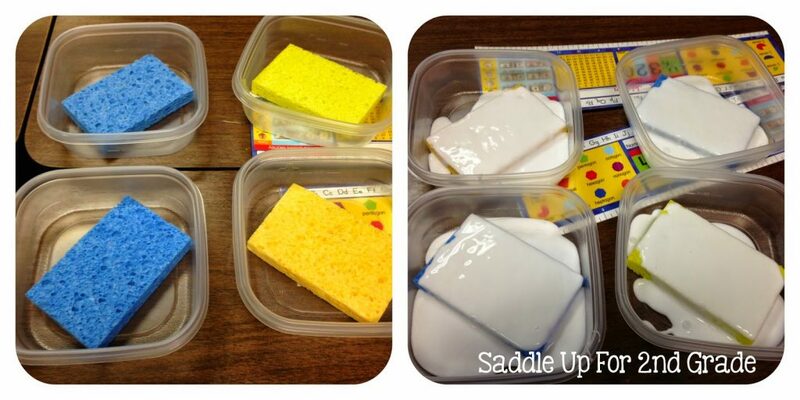 Lay your sponges in your Tupperware containers and pour and entire bottle of glue over the sponge. That’s all you do!! Close the lid, and let them sit for at least a day before using them. I made mine on a Friday and they were ready to go for Monday. The glue soaks up into the sponge. 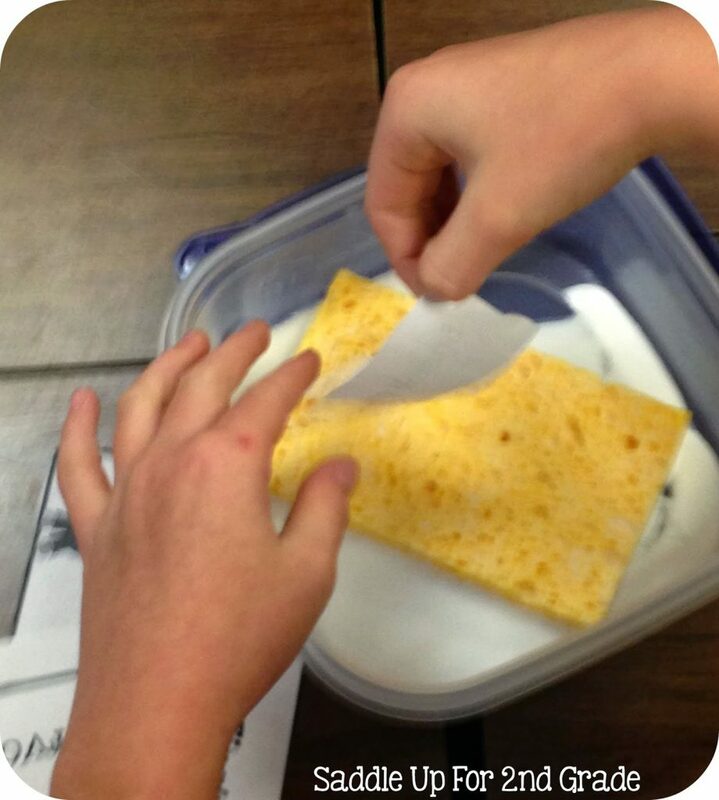 When your ready to use them for crafts, all your students do is dab their paper onto the sponge. It puts the perfect amount of glue onto the paper. No mess at all! About once a week, I’ll squirt water onto the sponges. Last year, the glue lasted me until about March. Then I just poured another bottle onto the sponge and I was good to go. Not to mention that the kids LOVE them. They think they are so cool. 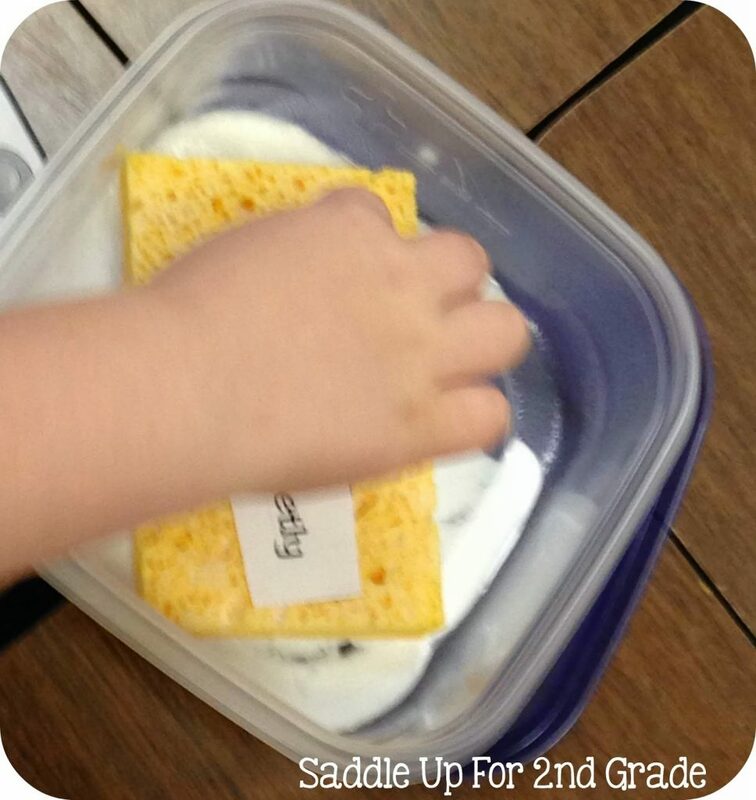 If you haven’t tried glue sponges in your class, I highly recommend them. Now click on the links below to check out more great back to school tips.